Brightening the smile is the fastest and easiest way to achieve a more attractive appearance. Dr. Hanif Asaria and the team at Calgary Dental Centers in Calgary, AB encourage patients to ask about our professional customized teeth whitening services available in our practice. We offer take-home whitening kits that improve the smile more than anything available over-the-counter in drugstores. 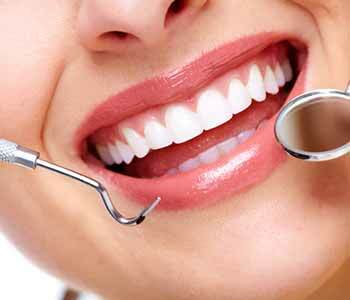 Also known as teeth bleaching, teeth whitening is a way of enhancing the color of the natural tooth enamel. There are many reasons patients may have staining and discoloration of the teeth. There may be a genetic component, causing the teeth to be yellow through no fault of the patient and their oral care habits. Other patients may have staining caused by the foods they eat, the beverages they enjoy, and the medications they take. Yellowing of the teeth can make patients feel self-conscious when they speak, laugh, and smile with others, so solutions such as professional teeth whitening services are often recommended to these individuals for consideration. At Calgary Dental Centers, we offer take-home teeth bleaching kits that are used privately by our patients. The kits include a customized set of trays made from impressions of the patient’s smile. These trays fit tightly over the dental arch and are sent home with professional-grade bleaching gel. The gel is administered into the trays and worn over the teeth for a specified period every day. When patients follow instructions, they will be able to see a smile that is approximately eight shades whiter in just two weeks! If patients want to continue to brighten their smiles, they can do so, obtaining more whitening gel from their dentist as needed. Absolutely! All cosmetic procedures available in our practice are safe and effective for home use when patients comply with the instructions for use. It is best that patients follow the instructions of their dentist to reduce the risk of burning the gums or increasing the sensitivity of the teeth. Patients will enjoy the gradual improvement of their smile with these take-home whitening kits. Who is a candidate for teeth whitening with professional take-home trays? During an initial consultation appointment, patients will be able to undergo an extensive evaluation with our team of professionals. We can examine the smile and determine if patients are proper candidates for this or any other cosmetic procedures available in our practice. In many cases, patients with restorations such as crowns, bridges, or veneers may not be deemed candidates for professional teeth whitening. This is because these porcelain restorations do not respond to the whitening gel, which leaves the brightened teeth a different shade than these pieces. For patients who are serious about whitening their smiles and maintaining the results, they may be interested in replacing their restorations to match the shade of their whitened tooth enamel. The decision to do this may be costly, but effective for patients interested in complete rejuvenation. 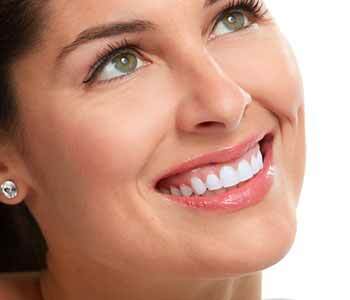 What are the benefits of professional whitening services? Once patients have undergone their teeth whitening service, they are often so pleased with the results that they work with their dentist to continue brightening the smile on a long-term basis. The brilliance and beauty add to a patient’s self-confidence! At Calgary Dental Centers, we understand how important it is to have a beautiful smile you are confident in sharing with others. We welcome patients in and around the area of Calgary, AB to visit our practice and discuss this solution with Dr. Hanif Asaria and his team. We have two convenient locations in the area and can be reached by phone at (403) 768-1339 to schedule your consultation appointment to determine candidacy for this and other cosmetic treatment options available.